No further information has been provided for this title. 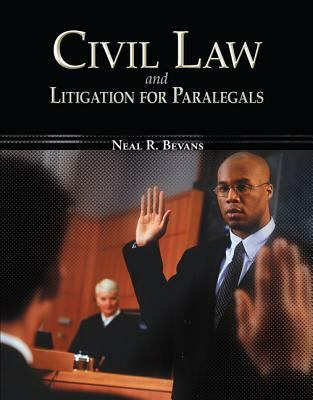 .Neal Bevans is the author of 'Civil Law & Litigation for Paralegals (McGraw-Hill Business Careers Paralegal Titles)', published 2007 under ISBN 9780073524610 and ISBN 0073524611. Loading marketplace prices 8 copies from $29.24 How does the rental process work?